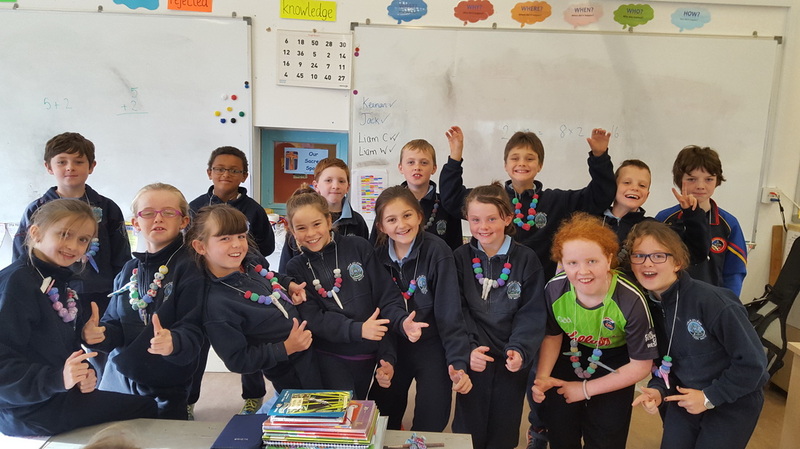 Crafty Kids Tobar an Léinn is a small 6 teacher primary school located in the village of Raheen, Co. Laois, Ireland. 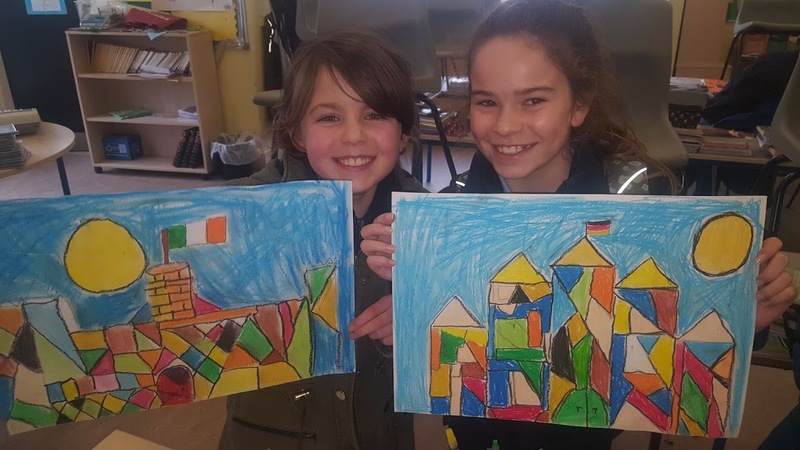 We were inspired by the beautiful artwork of the Romans and created our own versions of their mosaics. 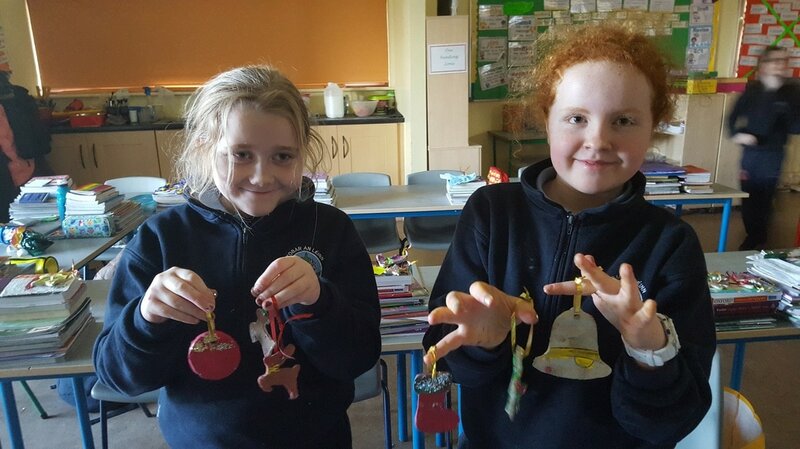 It's that time of year again and we were busy making some creepy looking skulls to prepare our classroom and corridor for Halloween. 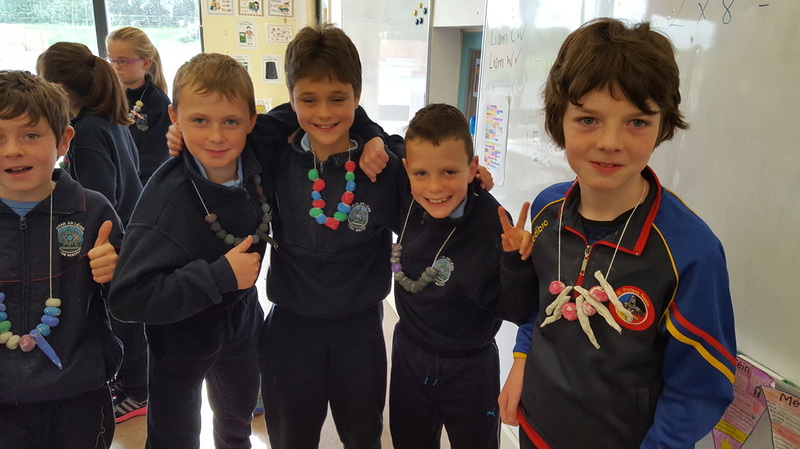 We think they look the part! 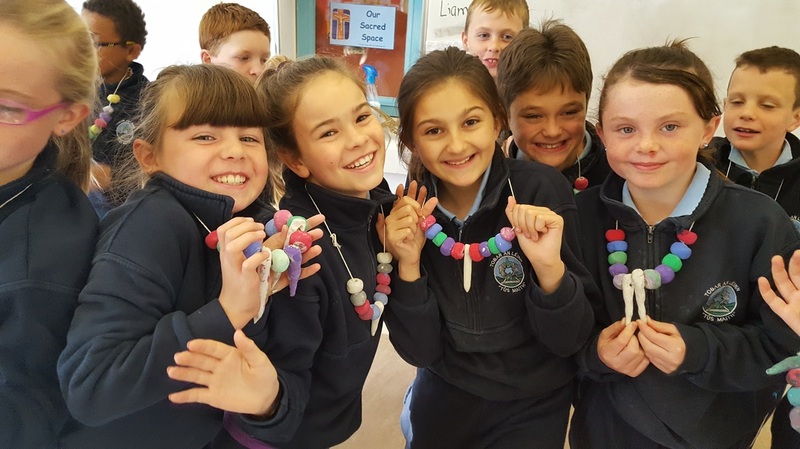 In 3rd and 4th we love playing with Lego. We used the figures as inspiration to draw our own self-portraits as Lego people. 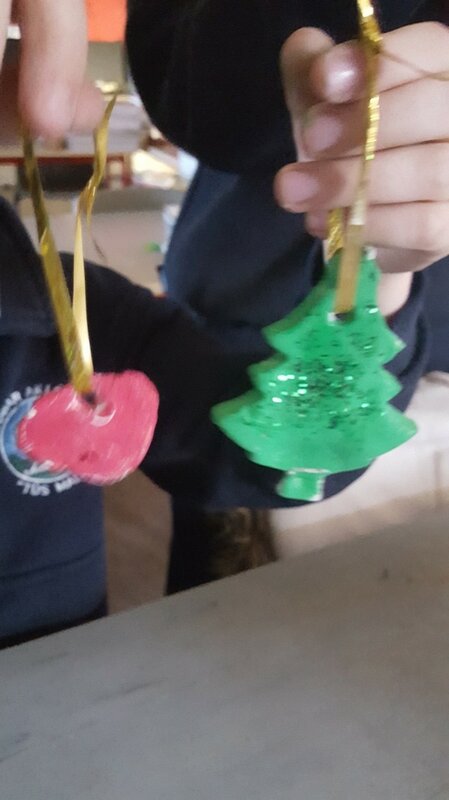 Didn't they turn out well? We looked at some of the art work created by the famous artist Paul Klee. 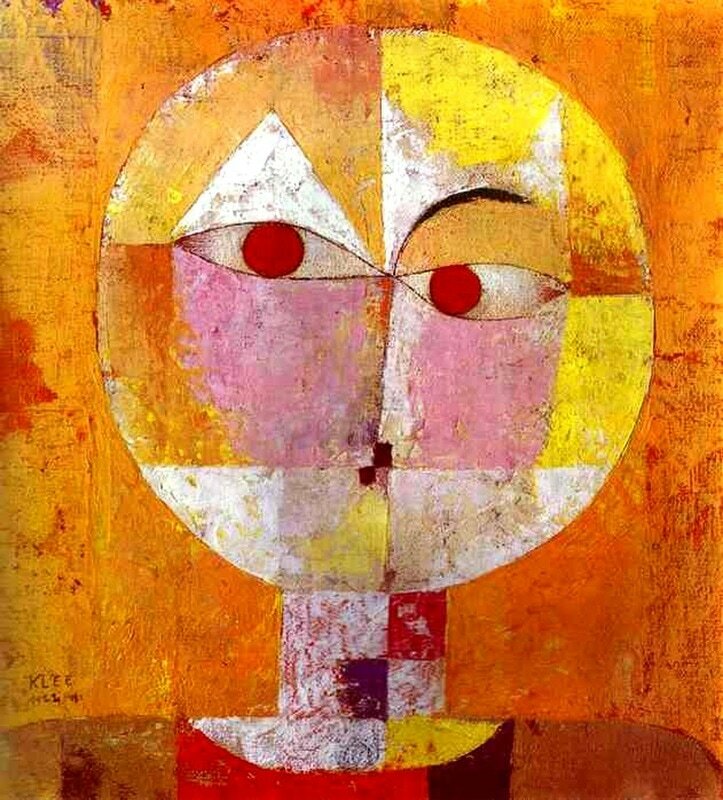 He is most known for his cubism art. 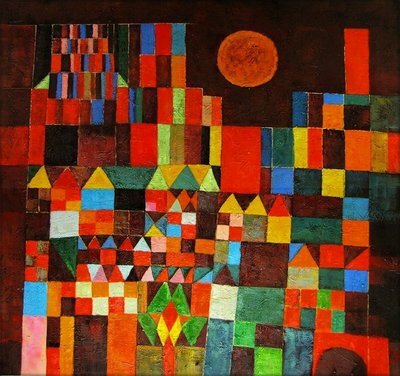 Here is some of his work. 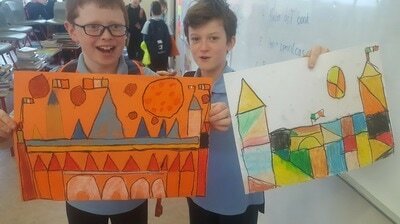 We used his work as inspiration and created our own version of his piece 'The Castle and the Sun'. We drew lots of 2D shapes such as squares, rectangles, triangles and diamonds. 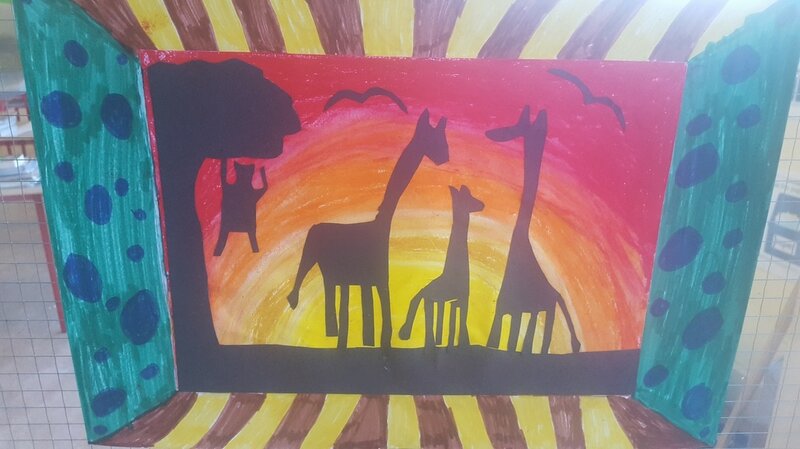 Then we used bright, bold oil pastels to colour them in. 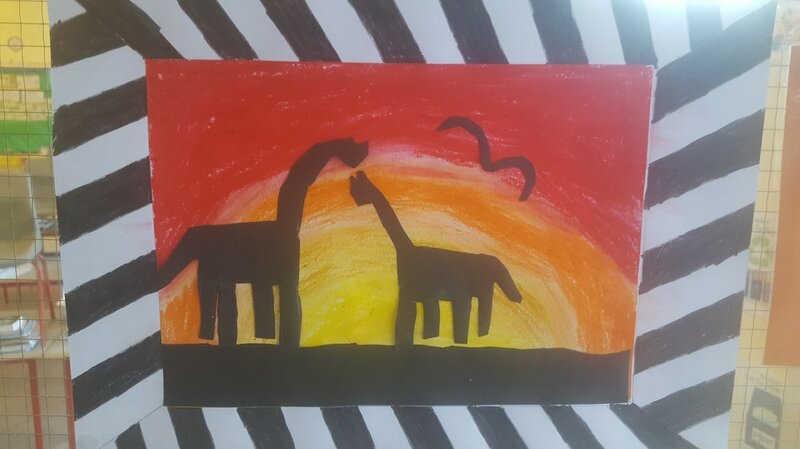 Finally, we used a black oil pastel to outline all of the shapes to make them stand out more and create a more dramatic effect. 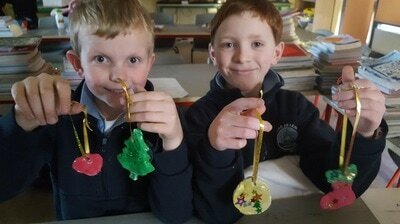 We were really happy with the results. 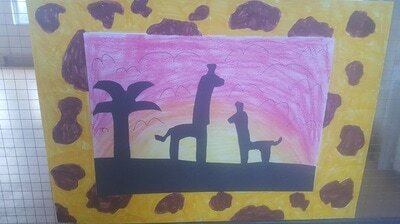 This week we created our own African Safari pictures. Firstly, we chose an animal print for our frames. We then used oil pastels to create our beautiful, glowing sunsets. We then cut out some silhouettes of African animals on black card and stuck them onto the sunsets. 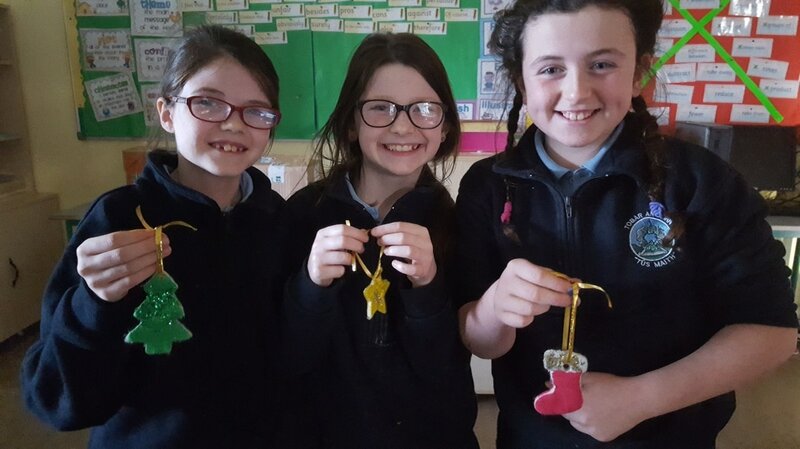 We are delighted with how they turned out. 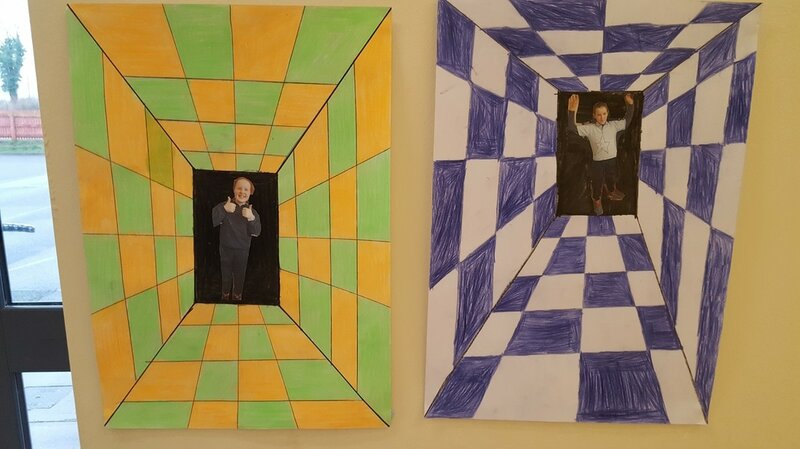 This week we learned about perspective art. 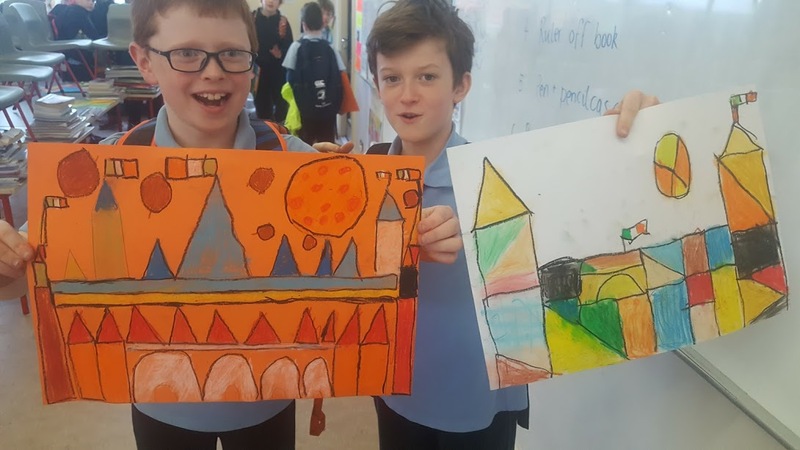 We learned that in order for us to achieve perspective in our art work we have to remember that objects appear smaller the further away they are. We had great fun posing for the camera and are delighted with how our art turned out. 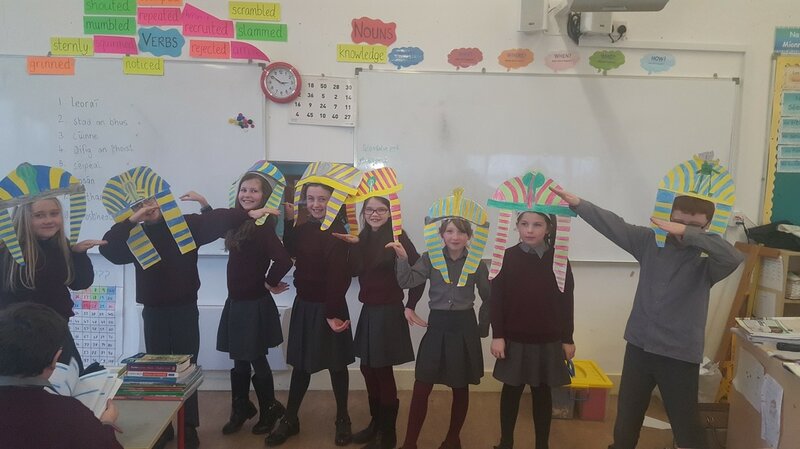 Ancient Egyptians believed that it was very important to preserve a body of the dead because the soul had to have a place where to dwell after the death. It was also considered very important for the soul to be able to recognize the body so it could return to it. For that reason death masks were used. 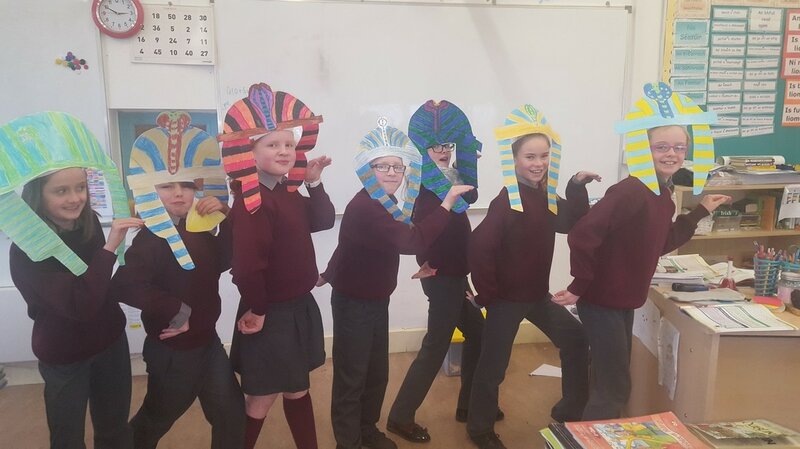 We looked at some photos of these death masks when we learned about Ancient Egypt in History, and then created our own! We made lots of Christmas decorations to hang on our trees. 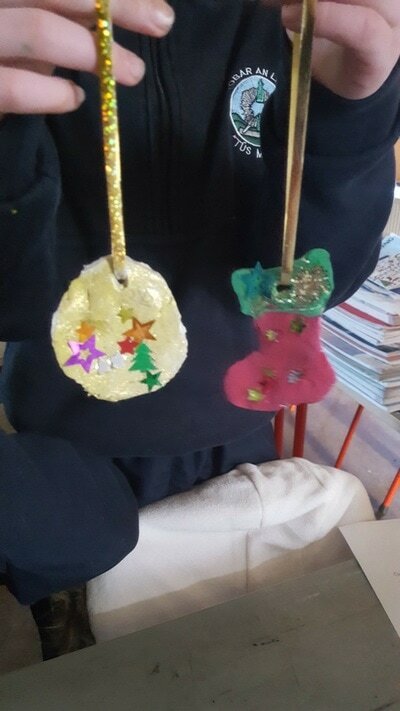 We used stencils and clay to cut out the shapes, and then painted and decorated them with glitter. They turned out beautiful! 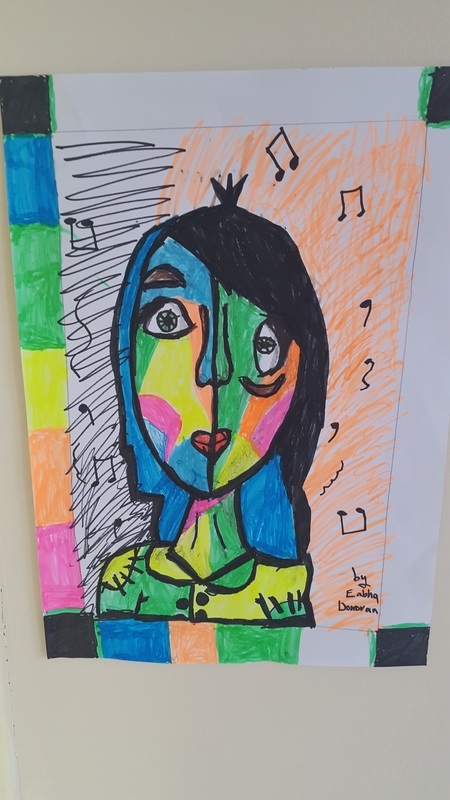 We learned all about the famous Spanish artist Pablo Picasso and looked at some of his unique self portraits. We created our own using his style as inspiration. 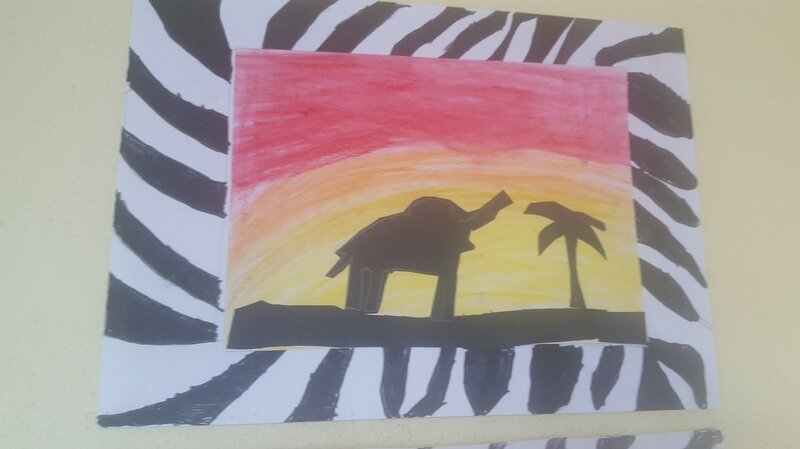 We used lots of bold, bright colours and strong lines. 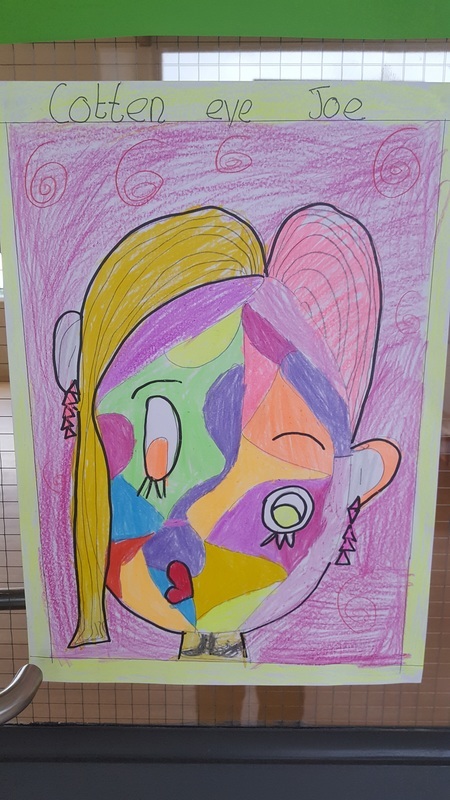 We had great fun creating our crazy self portraits! Can you tell who is who?? 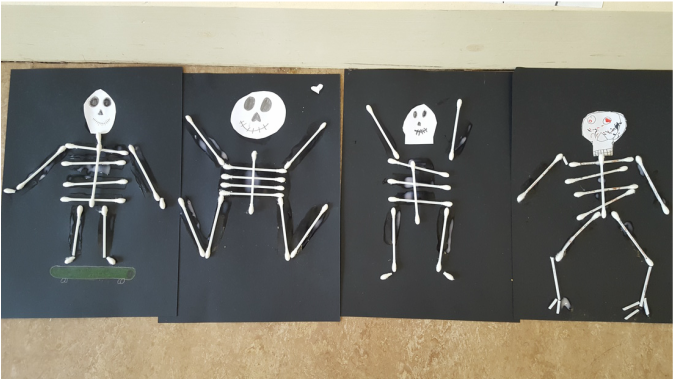 We worked hard on making some spooky skeletons to decorate our classroom and homes. 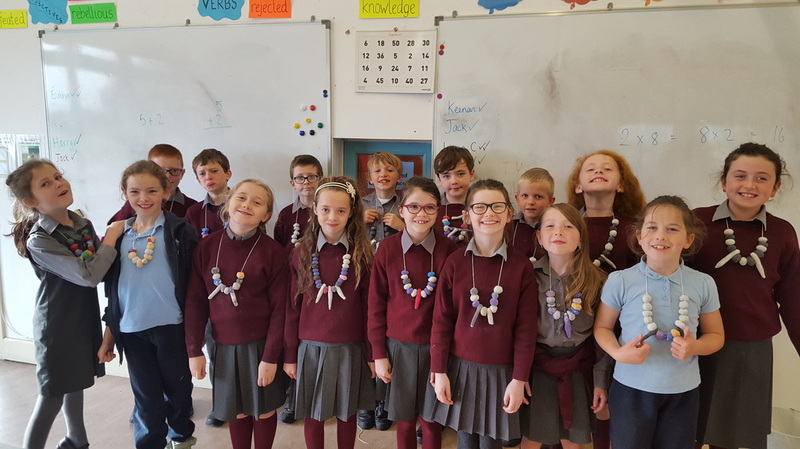 We learned all about the Stone Age in Ireland and made some beautiful necklaces inspired by those times. We used clay to make the beads, and then modernized them a little with some bright coloured paints! Didn't we do a great job?